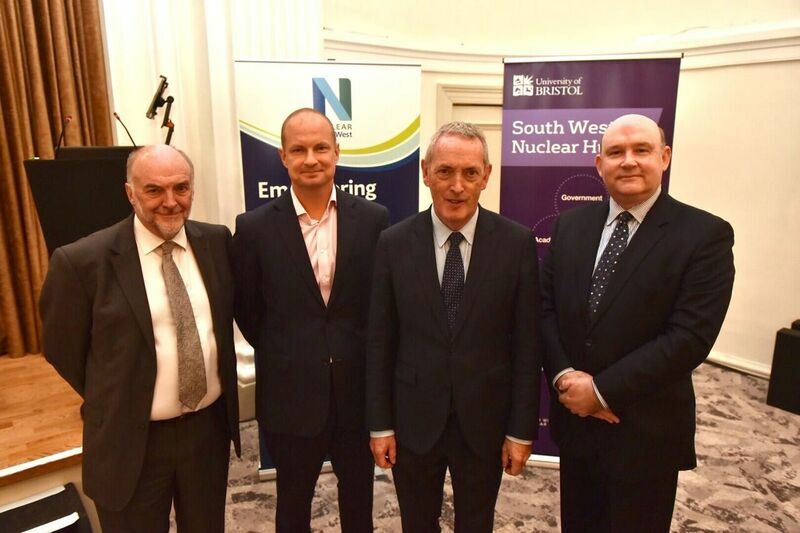 Former Business Secretary John Hutton outlined opportunities and challenges facing the sector today (19 September) at Nuclear South West’s annual conference in Bristol. For more information, to request an interview or attend the event, please contact Ben Lowndes at Social Communications on 07387 140 782 or benl@social-communications.co.uk. It is established and supported by the Heart of the South West, West of England and GFirst LEPs, with involvement from public sector and strategic organisations. Research has shown that there are £50bn worth of opportunities in the nuclear industry within 75 miles of the South West region. The region has the expertise, ambition and vision – as well as a critical mass of thriving businesses – to act as a catalyst to drive economic productivity within the nuclear sector. Hinkley Point C, the first new nuclear power station in the UK for a generation, will create 25,000 job opportunities, 1,000 apprenticeships and will pump £100m/year in to the regional economy. The South West is also home to the Oldbury nuclear reactors in Gloucestershire, the South West Nuclear Research Hub – a partnership between Bristol and Oxford Universities, the National College for Nuclear, the Somerset Energy Innovation Centre and the Berkeley Green University Technical College.